Charles Bruce Chandler, of Victoria, Va., died peacefully on December 28, 2016, after a brief illness. He was 91. Born in Victoria on November 17, 1925 to Aubrey Bruce Chandler and Velna Glascock Chandler, his early education was in the public schools of Lunenburg County and at Virginia Episcopal School in Lynchburg. He enlisted in the US Navy and served on a submarine chaser in the Atlantic and Pacific Theaters through World War II. After the War, he continued his formal education, graduating from Hampden-Sydney College in 1949 and earning a graduate degree in education from the University of Virginia in 1953. At H-SC, he was a member of the Kappa Alpha Order and loyally followed the Tigers for the rest of his life, often paying off friendly sports wagers with a coin bearing the image of H-SC alum President Wm. Henry Harrison. He began his professional career in the classroom at Victoria High School and served as an educator in communities across Virginia, becoming a Principal, Director of Instruction and ultimately Superintendent of Schools in Westmoreland County and in Wythe County until his retirement. After retirement, he returned to his professional passion and taught Latin, History and English at Kenston Forest School for ten years, while enjoying a regular game of golf with his friends, big band music, and the pleasures of maintaining the gardens at his family home. Bruce was not only a career educator, classical scholar and lifetime learner, he was the consummate servant-leader. While serving as Director of Instruction in Bristol, Va., he started one of the first summer camp programs in the nation for children with special needs. In Lunenburg County, he served in a number of civic capacities, including 25 years on the board of Lunenburg Health Services, the Victoria Library Board, and the local chapter of the VFW, where he delighted in directing the annual Voice of Democracy essay competition for many years. 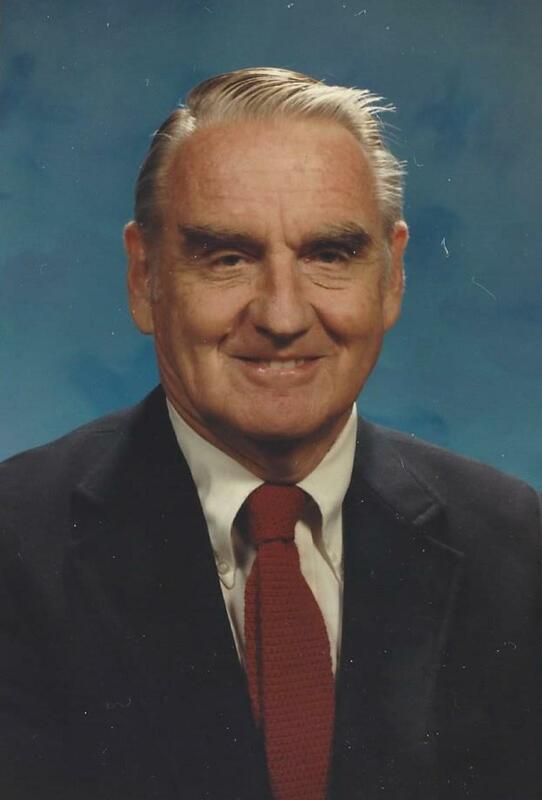 He served as a Deacon and Elder in Presbyterian churches across Virginia and was most recently the Clerk of the Session at Ebenezer Presbyterian Church in Kenbridge where he also taught a Sunday School class. Bruce was proud of his service to his country, his church and his community, but most of all he was proud of his family and of his 67 year marriage to the love of his life, the former Louise Cheatham of Crewe, Va, his “KA rose forever” who survives him together with his daughters, Mary Bruce Chandler Edmonds of Atlanta and Louise Chandler (“Lisa”) Watlington of Richmond, and his granddaughters, Ellen Bruce Watlington of New York City and Anne Chandler Watlington of Chicago. The family will receive friends at home. A graveside service will be held at Lakeview Cemetery in Victoria at 11:00 o’clock on Monday, January 2nd. We have lost another member of the greatest generation who has "slipped the surly bonds of earth" and "touched the face of God."